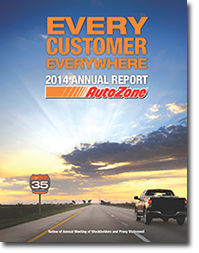 As of February 14, 2015, AutoZone operates 5,476 auto parts locations, including 411 in Mexico, five in Brazil, and 18 Interamerican Motor Corporation (”IMC”) branches. Each AutoZone store carries an extensive product line for cars, sport utility vehicles, vans and light trucks, including new and re-manufactured automotive hard parts, maintenance items, accessories, and non-automotive products. Many of our AutoZone stores also have a commercial sales program that provides commercial credit and prompt delivery of parts and other products to local, regional and national repair garages, dealers, service stations, and public sector accounts. We have commercial programs in select stores in Mexico and Brazil as well. IMC branches carry an extensive line of Original Equipment (OE) quality import parts. We also sell the ALLDATA brand automotive diagnostic and repair software through www.alldata.com. Additionally, we sell automotive hard parts, maintenance items, accessories, and non-automotive products through www.autozone.com, and accessories and performance parts through www.autoanything.com, and our commercial customers can make purchases through www.autozonepro.com and www.imcparts.net. We do not derive revenue from automotive repair or installation services. Each of our AutoZoners is committed to the highest level of customer service – every store has AutoZoners equipped with the tools and knowledge necessary to provide the highest level of technical advice and diagnostic support to our customers. 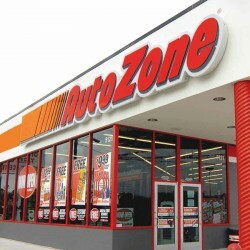 AutoZones’s website, www.AutoZone.com, can be used to order parts online or to look up parts in your local AutoZone store. The website is also a great resource for helpful maintenance and repair information. Through ALLDATA, the Company provides the most comprehensive electronic diagnostic and repair information available to professional mechanics either online, on CD or DVD.